A whirlwind romance from the New York Times bestselling authors of Nick & Norah’s Infinite Playlist! “I’ve left some clues for you. If you want them, turn the page. If you don’t, put the book back on the shelf, please.” 16-year-old Lily has left a red notebook full of challenges on her favorite bookstore shelf, waiting for just the right guy to come along and accept its dares. Dash, in a bad mood during the holidays, happens to be the first guy to pick up the notebook and rise to its challenges. What follows is a whirlwind romance as Dash and Lily trade dares, dreams, and desires in the notebook they pass back and forth at locations all across New York City. But can their in-person selves possibly connect as well as their notebook versions, or will their scavenger hunt end in a comic mismatch of disastrous proportions?Co-written by Rachel Cohn (GINGERBREAD) and David Levithan, co-author of WILL GRAYSON, WILL GRAYSON with John Green (THE FAULT IN OUR STARS), DASH & LILY'S BOOK OF DARES is a love story that will have readers scouring bookstore shelves, looking and longing for a love (and a red notebook) of their own.From the Hardcover edition. this is the cutest, most adorable book to exist – right up there with anna and the french kiss and fangirl. it’s also super cliché, but sometimes you need that in your life. now is one of those times. this story is told from two points of view: dash and lily. dash is strolling through his favorite bookstore when he finds a mysterious red moleskine. he then sets off to accomplish the challenges the notebook dares. and their conversation begins. the story is set during christmas and new year’s, so it’s perfect to read during the holidays. it’s a fun adventure, making me want to visit one of my favorite cities (manhattan, new york) again. the concept of the story is extremely clever and witty. i was in love with the idea of this red notebook connecting two strangers together. it’s one of those books you read simply because their chemistry is adorable and the storyline is hilarious. both characters are snarky and sarcastic, which left me grinning from ear to ear. however, the relationships (between other people) and character development were lacking. dash and lily were hard to imagine and felt two-dimensional – lily especially. there were times where she felt like a completely different person. she would overreact and jump to conclusions, which was so frustrating. i guess the characters were supposed to be “realistic” and real people make mistakes, but it came off as more confusing and unrealistic than anything else. i connected with the settings and situations more than the characters themselves. another thing that bothered me was the excess amount of filler paragraphs. there would be pages of flashbacks and whatnot that wouldn’t change the story if it wasn’t there. AKA FILLER. the book is so short already, i would appreciate getting back on track. there would also be problems noted, but we never got back to them. like, what about those other problems??? this book was simultaneously light-hearted and deep. deep, as in, this-left-me-in-an-existential-crisis deep. 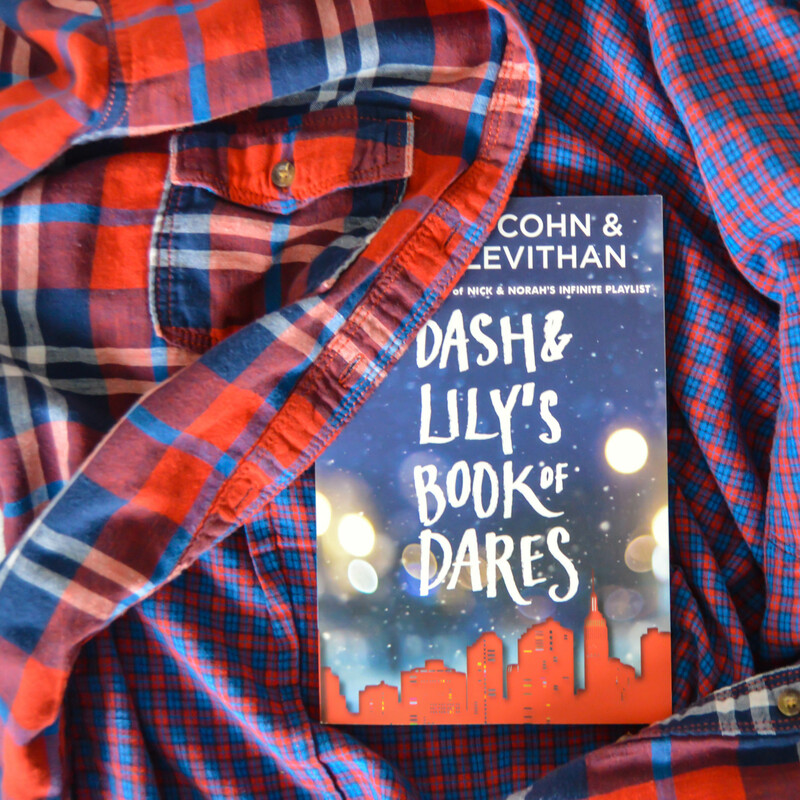 lily and dash are both book nerds (the story starts in a bookstore.. so that’s not really a spoiler right? ), so they both have a remarkable way with words and think more deeply. in this sense, i could relate with them very well. also, they’re more comfortable talking through writing than actually speaking (which i’m sure we can all relate to here). but like almost all contemporary books, i just wanted one more chapter. it wasn’t even like it ended abruptly, but i just want more. like, what happens next? this is a book you should read after a book hangover. when you’ve finished something epic and you don’t know where to go. it’s a very short, light read that helps if you don’t want to invest in a huge, scary series yet (aka game of thrones, anyone?). in a way, it’s kind of like a “filler” book. which is great because we need those in our life too.